OQO and Intel have developed a prototype for the purposes of a "demonstration." 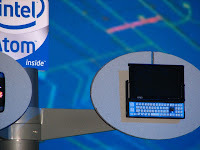 According to Dennis Moore, CEO of OQO, the use of the Intel Atom processor in the OQO is a technology showcase. Does this mean that future OQO models will use the Atom processor?